I do not breed frequently, but when I do it is carefully and selectively, with full consideration to the conformation, temperament and health of the puppies being born. For me, the critical component of breed type, is the ability to do the job for which a breed was originally purposed. Yes, they are beautiful dogs with often a "teddy-bear" type appearance. But they are not a teddy bear, and their structure, proportions, and physical features have to enable them to do the job for which they were intended. Yes, they are friendly, loving family dogs, content to spend time with you inside lounging about (actually also an important part of their origins), but equally they need to have the temperament and drive to do their work. Yes, they are big loveble "sooks", but they equally need to be hardy and tough, with the health to live in harsh conditions. Yes they are a submissive breed with humans, but they need to have the stability of temperament to work a relatively hard stock. If there was one word to describe the Finnish Lapphund standard it is "moderate". Exaggeration, in any way, plays no part in our breed, and my aim is to breed moderate, balanced Lappies with a good strong work ethic. Beauty, form, function, capable of being top winning show dogs, or achieving in the dog sport of your choice, but most of all loving, treasured and healthy companions. I undertake recommended health testing on my breeding dogs, with hip and elbow scoring, eye testing and DNA testing undertaken as a matter of course. Breeding decisions are made with the intent to minimise the risk of any hereditary health problems in pups. I am a dog sport enthusiast as well as a breeder and a show exhibitor. For that reason, and just because it is part of my own value system, the individual family relationship I have with each of my dogs is important to me, and I like to see them, and each of the dogs I breed with, get the chance to be pampered and adored pets first and foremost. My dogs don't live in a kennel environment, but as part of the family home, and so my numbers at home will always be small. As such, the younger dogs I show, and many of the girls who I breed with, don't actually live with me, but are pups I have bred, whose owners have very kindly allowed me to remain part of their lives in a bigger way, so they can be the next generation of Armahani. This network of amazing families ensure that all our show and breeding dogs get to be spoiled family pets as their first and most important job! When breeding, it is important to me to give each pup the best possible start I can, with environmental enrichment, age appropriate challenges and experiences, and a good start on their socialisation a critical part of how I raise each litter. A good healthy beginning also goes without saying, and pups receive quality nutrition, appropriate worming, first vaccinations, veterinary checks, eye specialist checks, microchips, and head home with a raft of information, advice and guidance for their new owners. Puppies that leave here for their own family will always still be a part of my family, and for that reason I love to hear how they are doing, see photos of them regularly, laugh with you at their antics growing up, and cheer with you at their achievements. For that reason also, if they ever cannot continue with you on their life journey, for whatever reason, I require first option to take them back or find them a new home. None of "my babies" are placed lightly, but with full care and ongoing interest for their welfare. For that reason please don't be offended if I ask a lot of questions before agreeing to sell you a pup. I want to feel comfortable that the puppies I place are going to homes where they will be welcome for life as full members of the family, with all of their needs being met. I would love to meet you and your family if it is possible. The other reason I may ask you a number of questions is to make sure that the puppy I help you choose is the best choice for the life they will lead. Some puppies will be suited to showing, others not. Some will have natures best suited to some form of dog sport, whereas some would be happier with a slightly lazier lifestyle. Some would be perfect in a noisy household with lots of activity and noise, others would be better in a quieter, gentler home. Puppies are sold under a written contract of sale that outline my commitments to you and your commitments to me. These contracts are different depending on whether you are buying a puppy that I have decided can be shown and bred from. Those puppies that haven't been selected for showing and breeding are registered on the limited register and sold with a clause requiring you to have them desexed. This is to ensure that the quality of this breed in Australia is protected as much as possible. The puppies not destined for show are just as beautiful and loving, often the reason I have decided one way or another can be very small. 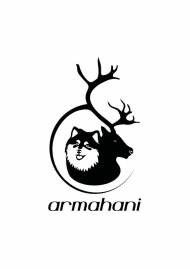 Please note that under NO circumstances will a puppy from Armahani be provided for breeding purposes unless to a registered breeder (or current or aspiring show exhibitor with future intentions of becoming a registered breeder) with full intentions of exhibiting the puppy in the show ring. Please feel free to contract me with any questions you may have.